Cook pasta per package directions, rinse, drain and set aside. Place the 4 cup water, kombu and shiitake in a medium saucepan, cover and bring to a boil. Reduce flame to medium-low and simmer 4 to 5 minutes. Remove Kombu, set aside for soup stock or discard. Cover the pan and simmer another10 minutes. Reduce the flame to low, add the shoyu and simmer another 2 minutes. 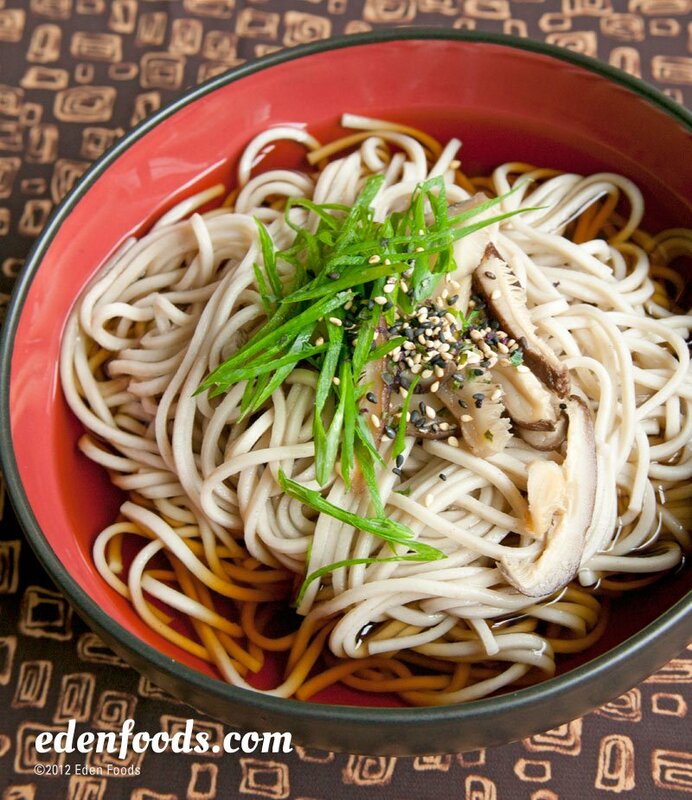 Place the cooked soba in serving bowls, ladle the hot broth over and garnish each with toasted sesame seeds and scallions.